New East Prussia (German: Neuostpreußen; Polish: Prusy Nowowschodnie; Lithuanian: Naujieji Rytprūsiai) was a province of the Kingdom of Prussia from 1795 to 1807. It was created out of territory annexed in the Third Partition of Polish-Lithuanian Commonwealth and included parts of Masovia, Podlaskie, Trakai voivodeship and Žemaitija. In 1806 it had 914,610 inhabitants with a territory of less than 55,000 km². 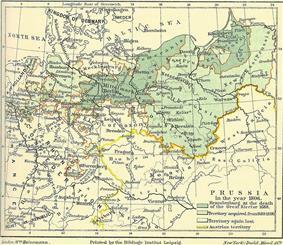 New East Prussia encompassed territory between East Prussia and the Vistula, Bug River, and Neman rivers.